Fiocchi has a worldwide good reputation, as manufacturer of ammunition of all types and calibres, for handheld firearms: from pinfire shot shells for guns with smoothbore barrels to pinfire metal cartridges for rifled barrels and shot shells and cartridges of all types, both centerfire and rimfire. 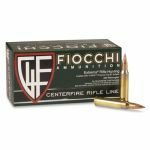 Recently Fiocchi has launched a range of shotgun cartridges in both fiber and plastic wad, that meets some specific demands of the UK and Ireland markets. 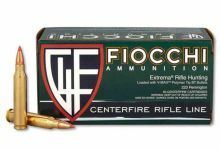 Fiocchi follows the continuous evolution of the needs of its diversified consumers, including hunters, sports people with a passion for target shooting and clay pigeon shooting, public bodies (for defence and security).